Traditional world is still alive in the Moroccan countryside and offers a unique experience for those whom visiting this ancient country means a step back to the source. 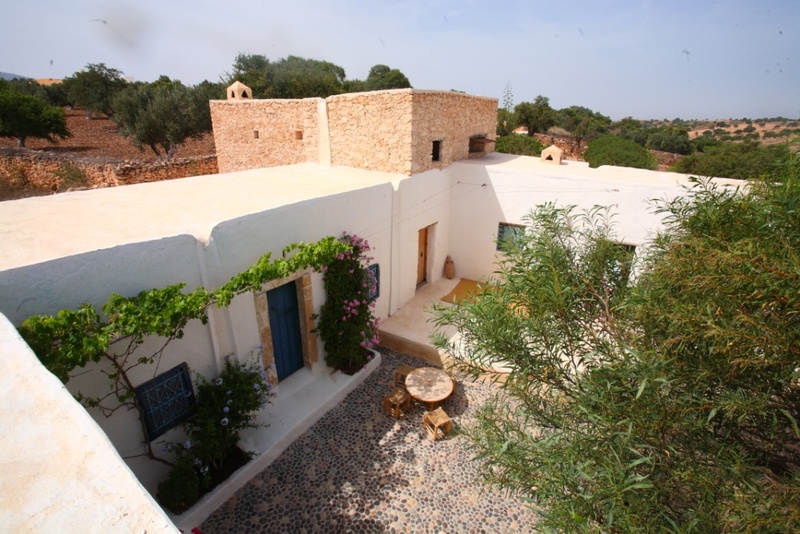 Lalla Abouch Organic Farm, located in the area south of Essaouira - called Haha region - open its door to guests, introducing visitors to the beautiful homeland of the Argan tree. At Lalla Abouch we produce ARGAN OIL, for cosmetic and alimentary purposes. Also, olive oil, flour, barley cous cous, respecting the traditional techniques and the rhythm of the local Berber people. We also provide and help to sell other local products such as honey and goat cheese, from local cooperatives. 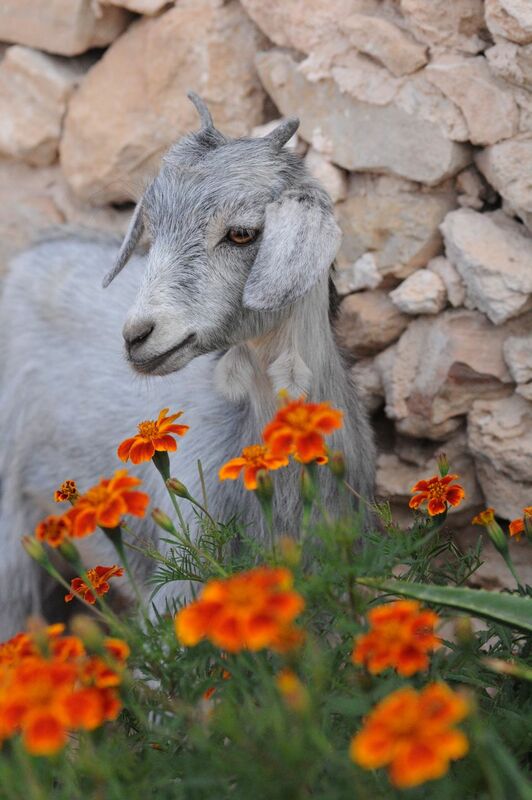 We have a garden where we grow aromatic herbs, a biological orchard and farm animals, with cats, dogs and donkeys too. The area, unique and preserved, offers the opportunity to live a magical contact with nature: walking treks, donkey trails with picnic, quietness and starry nights. Uncontaminated beaches and the lovely beach town of Essaouira are just 20 minutes away by car. 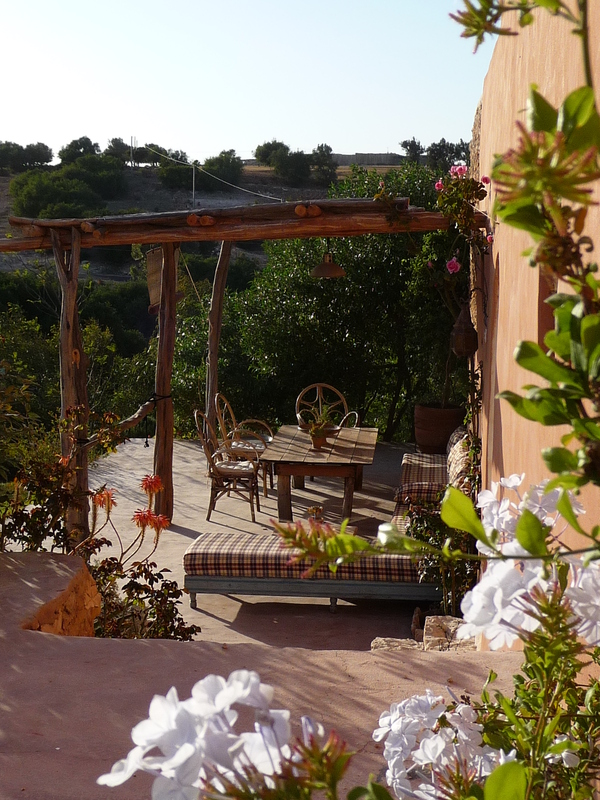 Berber cooking class, trekking, birdwatching, or simply relaxing by the pool will let you revive, find new energy and appreciate this unique and preserved area of Morocco. 1 night stay departure from and return to Dar Attajmil. Transfer both ways with visit to Essaouira and personal assistance included: 150 Eu/person, in half board. 2 nights stay departure from and return to Dar Attajmil. 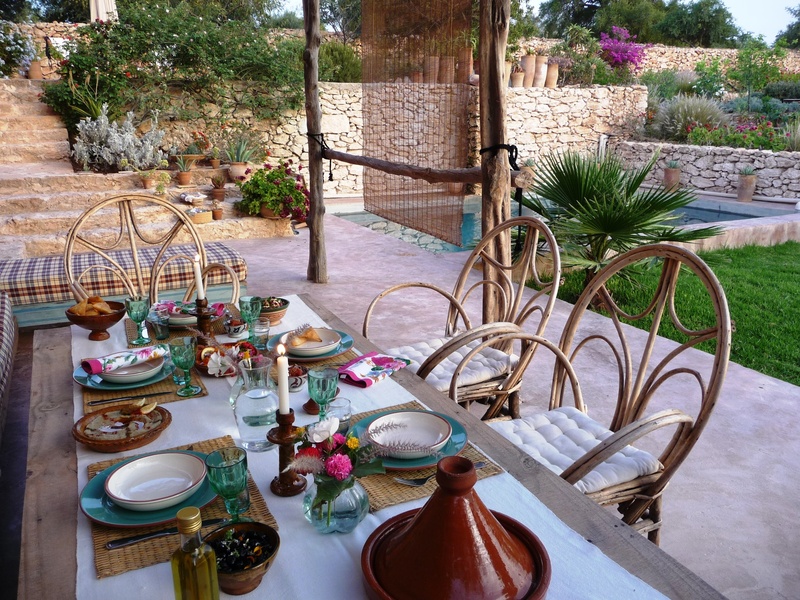 Transfer both ways, excursion to Essaouira and personal assistance included: 125 Eu/person/night, in half board. 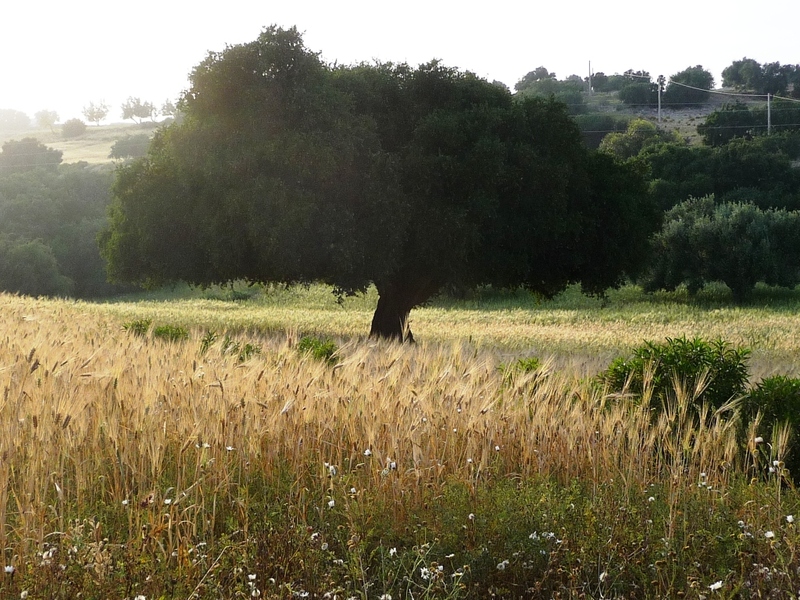 Make your argan oil: Introduction to argan tree and its oil production, extraction of argan oil with the women of the farm, visit to the local female cooperative. Lunch at the farm. 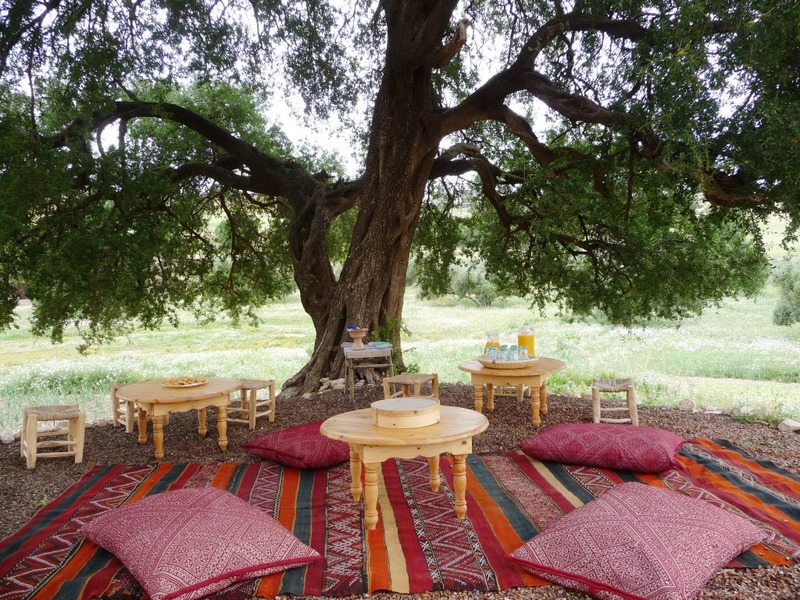 Price (without transfer): 50 Eu/person, including guide, welcome tea lunch and 100 ml bottle of cosmetic argan oil freshly produced.